A fiber made from crustaceans can block bacteria growth in your workout gear. 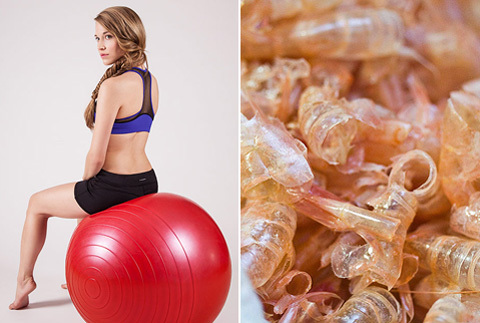 A Canadian activewear company is using shrimp and crab shells to give its workout gear odor-fighting abilities. We know what you’re thinking: Putting crustacean shells in gym clothes to make them less smelly isn’t very intuitive, is it? Strongbody’s fabrics are coated in chitosan, “a fiber chemically processed from shells of crustaceans that’s been used as everything from a dietary supplement to a blood-clotting agent in bandages,” according to Bloomberg Businessweek. Chitosan also happens to be naturally antimicrobial, and doesn’t seem to affect those with shellfish allergies. The Vancouver-based company is taking cues from companies like Lululemon and Patagonia, which use powerful silver chloride on some of their products to keep bacteria from growing on your sweaty clothes and causing acrid smells. 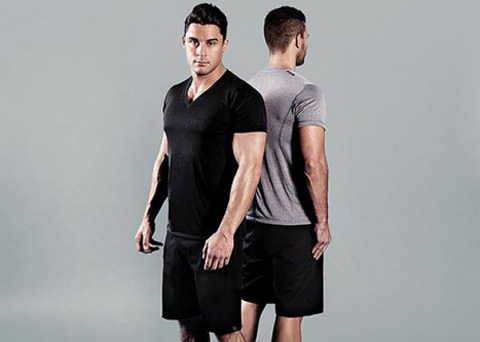 Strongbody’s wrinkle-free, pill-free apparel is currently available on the Strongbody website and through pledges to their Kickstarter. Gear ranges from $68 for a tank top to $148 for a sleeveless hoodie.